NORTH SHORE, OAHU (HawaiiNewsNow) - The Coast Guard and Army made the tough decision Monday to suspend the search for five aviators missing since last Tuesday, when their Army helicopter crashed off Oahu's North Shore. "Our five soldiers, who represent the best and brightest of America, have not been found," said Maj. Gen. Christopher Cavoli, commanding general of the 25th Infantry Division, in a news conference. "The active search and rescue was suspended only after careful consideration of all of the available information. It was a difficult decision for all of us, and the families most of all." Cavoli said operations now move to the next phase — a recovery mission and an effort to figure out what caused the crash. The search and rescue effort was suspended at noon, and family members were notified of the decision about 9 a.m.
Coast Guard Rear Adm. Vincent B. Atkins, commander of the Coast Guard 14th District, said the decision to suspend a search without finding survivors "is extremely difficult given the depth of its impact." "I know I speak for the entire Coast Guard when I say our thoughts and prayers are with Army helicopter squadron and particularly with families and loved ones of those missing," he said. In a statement Monday afternoon, Gen. Robert Brown, commanding general of the U.S. Army Pacific, offered his condolences to the families of the five aviators. "The entire U.S. Army Pacific ohana has and will continue to embrace the families of these soldiers, as each of them remain in our thoughts and prayers," Brown said. 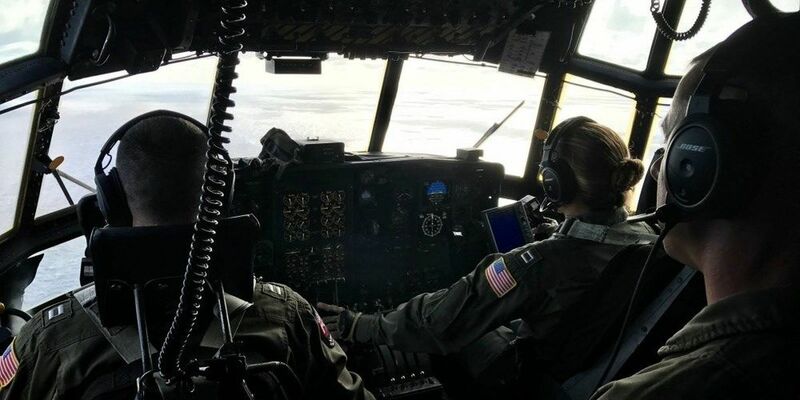 The massive search for the five soldiers started shortly after the chopper went down and continued through the weekend, extending to up to 160 miles off Kaena Point and as far as Niihau. Coast Guard officials said crews searched by air and sea around the clock in their effort to find the missing aviators. Their search area covered over 96,000 square miles. "We have saturated the area," said Coast Guard Lt. Scott Carr. Through the week, officials held out hope that the aviators would be found. But with every passing day, the chances of survival declined. The Black Hawk chopper based out of Wheeler Army Airfield's 25th Combat Aviation Brigade crashed two miles off Kaena Point late Tuesday during a routine training mission. The five on board were active duty soldiers — two pilots and three crew members. Army personnel lost contact with the UH-60 Black Hawk helicopter about 9:30 p.m. Tuesday, half an hour after it left Wheeler airfield. Coast Guard, Army, Navy, U.S. Marine and Honolulu Fire Department rescue crews were deployed to help in the search. About 7 a.m. Wednesday, a portion of the chopper's fuselage was spotted in the water. Other parts of the chopper have also been recovered. Honolulu Fire Battalion Chief Paul Fukuda said some debris was recovered early Wednesday, including a helmet. "It's so spread out and with the darkness, it's hard to say how big the debris field was," he said. Currents quickly spread that debris field over a widening area. In addition to the search by air and sea, HFD said firefighters walked the shoreline along Kaena Point, looking for any signs of wreckage. Lt. Col. Curt Kellogg said that nighttime chopper training offshore — like what the Black Hawk air crew was participating in — is routine. The helicopter was flying with a second Army helicopter. The search for the downed craft began immediately after the aircrew lost visual and video contact with the other helicopter, he said. The UH-60 Black Hawk is a four-bladed, twin-engine utility helicopter manufactured for the Army by Sikorsky Aircraft starting in the 1970s. The Army has 2,300 Black Hawk helicopters; the choppers are the branch's primary medium lift utility transport and air assault aircraft. The Army also uses Black Hawks for medical airlifting and to deliver emergency supplies during natural disasters. The Black Hawk is used by 26 other countries besides the U.S., including Japan, Korea, China and the Philippines. Newer versions of the helicopter are designed to fly higher and can carry more than older versions. The last military helicopter crash in Hawaii happened in January 2016, when 12 Marines were killed after two Super Stallion choppers went down off Haleiwa.